Our team reviewed the latest compact yet powerful sound stand from VIZIO. The new entrant VIZIO S2120w-E0 comes with decent specifications and compact, stylish design. 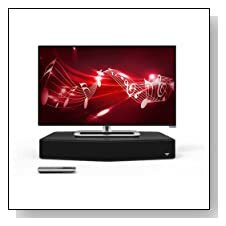 The model suits very well for small and medium sized home theater setup where space is a serious problem. But we were curious to know whether this cute sound stand will perform like other premium models. Will it be able to compete with its rivals in the industry in terms of value for money? And will it offers decent audio experience? We try to answer these questions and more in our entrant VIZIO S2120w-E0 review. Powerful 95dB crystal clear sound output, Dolby Digital decoding, DTS Studio, Studio sound, DTS TruVolume and surround sound effects. Wide range of connectivity options. Built-in Bluetooth® technology to wirelessly stream music from your smartphone and tablet. Before we get in to minute details of the sound stand, we want to state that the design looks amazingly stylish. The first thing you surely notice right after unpacking the box it its trendy design. The 21 inch wide device is quite strong and looks premium. The company’s logo on the front looks very striking too. We felt the company has done enough in the design innovation department to make this model eye catchy. The review unit was built with high quality durable material and smoothly finished. Coming back to important part of the review, VIZIO S2120w-E0 really stunned us with its superb output quality. The little monster produces powerful 95dB crystal clear sound without any considerable distortion. We played our regular set of assorted audio files, this sound stand stays up to our expectations from a home theater sound system. The model has best in class technologies enabled like Dolby Digital decoding, DTS Studio, Studio sound, DTS TruVolume and surround sound effects. Even at high volumes, the sound stand produced high fidelity audio. When it comes to connectivity options, this model is Bluetooth enabled, has got RCA Stereo, 3.5mm stereo jack, digital coaxial, optical toslink and one USB port. You can wirelessly play media files from smartphones and tablets. Overall, this model offers amazing audio experience at reasonable price. 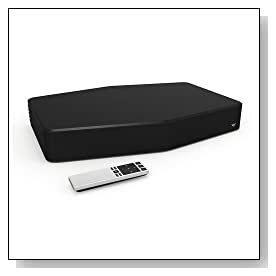 If you don’t have space to install large speaker systems for your home theater setup and still don’t like to sacrifice powerful audio, then VIZIO S2120w-E0 is for you. The model does match premium speaker systems in terms of the audio output. It consumes less space but never compromises on performance.